Google commissioned Early Work, formerly BROOK&LYN, to design a custom shell for their OnHub TP-Link wireless router. The brief was simple: "Design a router shell you might actually want to have on display." Our scaled up, wooden interpretation of a classic toy encourages a sense of play and discovery while housing the OnHub router in your living room or on your desktop. 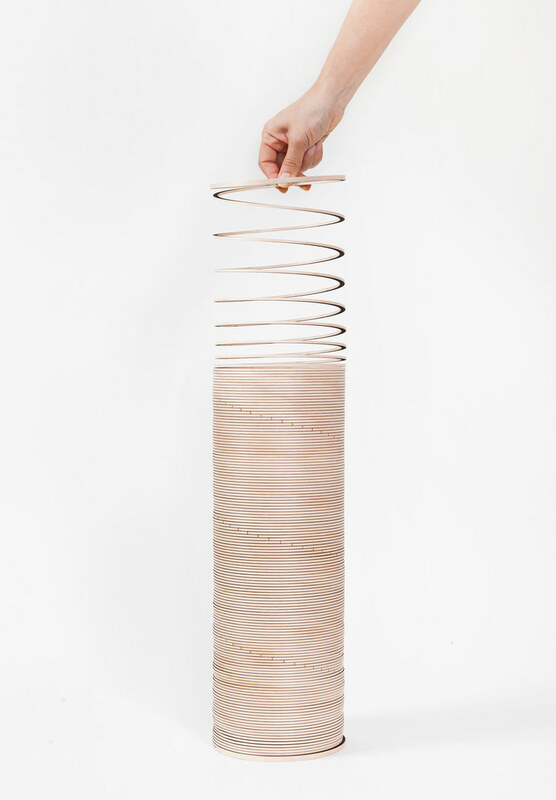 The once rigid wood cylinder is laser-cut and transformed into a flexible, spring-like form that begs for user interaction. Read more about the project in Dezeen and Fast Company.